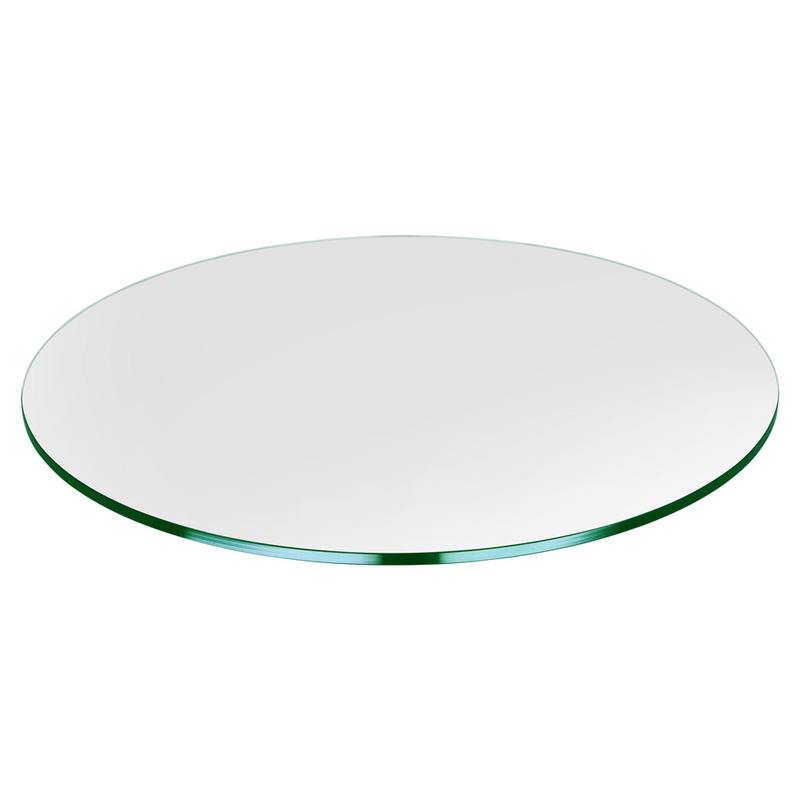 72" round glass table top -- can be used as a table top cover to protect the surface of existing furniture, or it can be placed on a table stand to create an instant, new glass table. This circular glass table top can also be used in situations where the entire surface is made out of glass. The glass table top compliments any base made of glass, wood, metal or any other material. For added safety and strength, tempered glass is available. 1/4" Glass Thickness: This thickness is best used when you want to place a protective cover on an existing table. 3/8" Glass Thickness: Normally used to cover an existing surface such as wood, metal, etc. Or it can be placed on a pedestal to create an instant table. 1/2" Glass Thickness: This glass thickness is suitable for use on a pedestal where the extra thickness provides durability, but you may choose to use it for other applications as well.